Water resources, the 'blue gold' of the 21st century, are scarce across Africa where the hydrological network is the world’s least developed. ESA launched the TIGER initiative in 2002 as a CEOS (Committee on Earth Observation satellites) contribution to assist African countries to overcome water-related problems and to bridge Africa's water information gap using satellite data. TIGER has since involved more than 150 African organisations investigating the various stages of the water cycle across the African continent. More than 80 African water authorities and remote-sensing experts gathered in Cape Town, South Africa, from 20 to 24 November to review the mid-term results achieved to date and to attend training sessions organised by ESA and UNESCO. In her opening remarks, the Minister of Water Affairs and Forestry of the Republic of South Africa Lindiwe Benedicta Hendricks said: "Without appropriate tools and skills, as well as accurate and reliable information to support and inform decision-making processes, being able to adequately address the water challenges that face us will remain a pie in the sky. "We must therefore congratulate the European Space Agency, UNESCO, and other international partners for their response to this need by having an initiative to address the information gap." The TIGER initiative is implemented in three stages – research, pre-operational and operational. 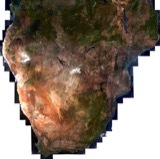 The research stage encourages water authorities in Africa to undertake research initiatives in the field of water and resource management and supports them with Earth observation (EO) data, training and tools. Results for the research stage were presented for the first time at the workshop in Cape Town, making it evident that the TIGER training sessions held throughout the year to familiarise users to EO data and techniques were successful. Research presentations outlined how EO data led to the detection of a previously unknown fault in Morocco. Participants also heard how EO data are being used to monitor land use dynamics in Cameroon where landslides have increased in number and intensity in the last 30 years. In Botswana, EO data, along with in-situ, will be used to feed the political decisions on shared water use within the Okavango Delta. The pre-operational stage aims to demonstrate tailored EO-based services and systems for collecting water-related information. ESA and the Canadian Space Agency (CSA), funded by €6 million, have backed a number of projects in more than 20 countries. The operational stage is aimed at transferring the leadership of the projects to African water authorities. TIGER’s 15 projects under the pre-operational stage include wetland monitoring, water resources mapping, water quality estimate, soil moisture charting, flood plains monitoring, epidemiology and groundwater resources management, among others. Providing perspective on the importance of soil moisture, which plays an important role in the global water cycle, and the lack of reliable soil moisture information, Geoff Pegram of the University of Kwazulu-Natal, South Africa, and Annett Bartsch of the University of Vienna, Austria, gave a presentation on the SHARE (Soil Moisture for Hydrometeorological Applications in the SADC Region) project. 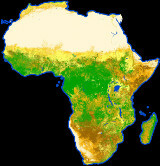 The first SHARE products are ready – an archive containing coarse resolution soil moisture has been compiled for the SADC region from 1992 to 2000, a near-real time processor for more recent data has been set up and currently data is being processed for North West Africa and made available within three-day intervals. Participants also heard about the ongoing project aimed at designing, developing and implementing a system for monitoring the water quality of Lake Manzalah in Egypt. An essential source of freshwater in the region, the demand on Lake Manzalah has been strained over recent years owing to increased competition from domestic, industrial and agricultural users. Akram Mohamed El Ganzori of the Ministry of Water Resources and Irrigation in Egypt said: "The value of EO-derived information increases as it is used in integrated water resources management to improve decision making. The transfer of expertise and the building of local capacity is a real achievement." Prototype products are currently being developed and operational service delivery is scheduled to commence in January 2007. Addressing one of the most threatened ecosystems on Earth, Muhammad Sani Adamu of the Lake Chad Basin Commission and Leon Schouten of Vexcel (The Netherlands) presented the GlobWetland project – an ESA-led initiative that uses satellite imagery to provide detailed wide-area views of individual wetlands to aid conservation efforts. Opening the pre-operational phase of the workshop, the African Development Bank’s Woudeneh Tefera spoke of the GlobWetland initiative: “This is a tremendous leapfrog from the traditional data collection and information management systems and would enormously facilitate availability of quality data for water resources development, management and monitoring of the resources. "National water resources management authorities and transboundary river basin origination could benefit tremendously from this initiative provided that the required scientific and technical skills are developed within the continent." Following the conclusion of the workshop, the rest of the week was dedicated to training sessions. ESA’s training focused on advanced optical data from Envisat’s MERIS instrument for use in detecting and monitoring land cover, vegetation index, etc., while UNESCO offered basic remote-sensing training for wetland management.